Health tourism is gaining in prominence and becoming more popular in Saudi Arabia, according to a recent report by Saudi Arabia’s Supreme Commission for Tourism and Antiquities (SCTA). The report said that citizens and expatriates together spent more than 800 million Saudi Riyals (Dh783 million) on health and medical tourism in 2007, and foreign tourists spent more than 400 million riyals for treatment in the Kingdom during this period. The SCTA report said medical firms and centers promoting medical tourism in the kingdom are located mainly in Riyadh and Jeddah. These include the Kingdom Hospital, Prince Sultan City for Humanitarian Services, and Saudi German Hospital. 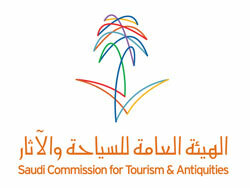 SCTA’s executive director for tourism development in the Riyadh region, Abdul Rahman Al Jassas, said Saudi Arabia is also making significant progress in developing business and conference tourism. He attributed this progress to Saudi Arabia’s vast infrastructure and faculties for hosting such events.